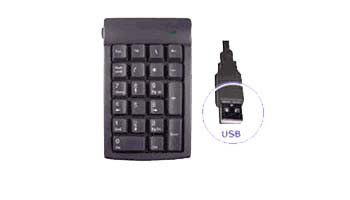 The Genovation 630 keypad features a full size numeric keypad with a serial port connector. SpecificationsThe Micropad 630 is the highest quality “Plug & Play”numeric keypad on the market. Just plug it into any PC and you can startworking. It enables notebook PC users to speed through number crunching withease. Built with high quality Cherry keyswitches (50 million life cycles). Thekeys are durable, yet light and easy to press, a feature lacking on lesserquality keypads.